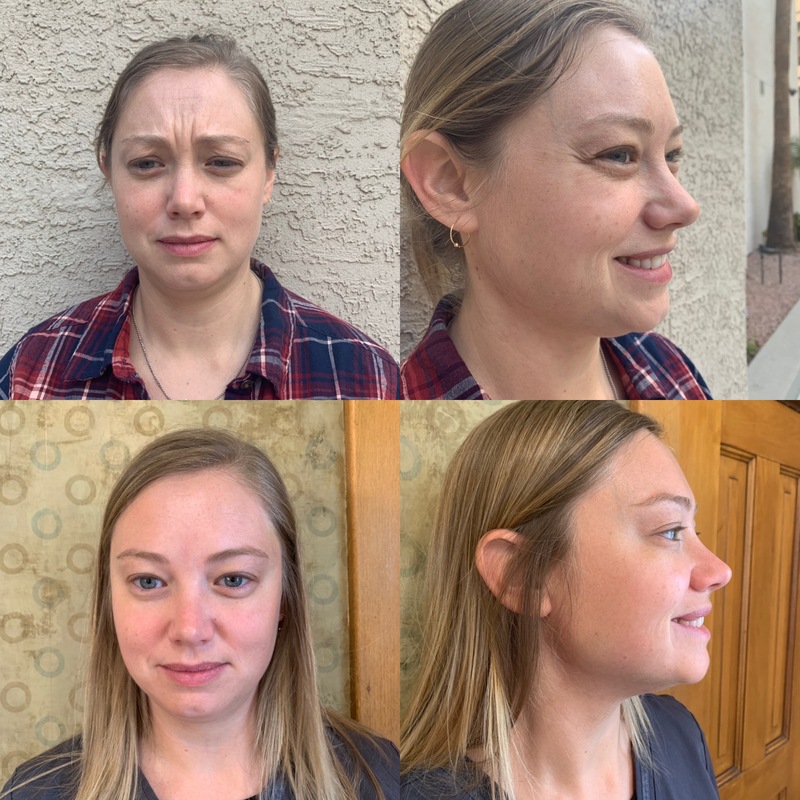 Although many people associate Botox with cosmetics, it has astonishing applications to alleviate pain associated with grinding, TMJ, headaches, and trigger points. Botox helps to lessen these pain symptoms by relaxing the muscle fibers that are causing the discomfort. TMJ pain and dysfunction are often caused by the chewing muscles putting strain on the jaw joint. Strain in this joint and their muscles can manifest as facial pain and headaches. If you experience any of the following symptoms, you may want to see how Botox can help alleviate your specific pain and discomfort. Grinding (otherwise known as bruxism) is one of the most common dental conditions we see. Although some people are aware of their grinding or clenching, many more people are unaware of the damage grinding is doing in their sleep. By using Botox to relax the jaw muscles that cause grinding and clenching, you can greatly improve your symptoms and take a lot of strain off your teeth. If you’ve noticed any of the following symptoms, or been told you grind, consider using Botox to alleviate the cause and improve your symptoms. Because Botox is used to relax some of the chewing muscles – many patients appreciate the side effect of a slimmer face along the jawline. Many patients find the use of Botox for grinding to be easier to comply with when compared to a nightguard. Have you ever experienced a knot in a muscle that is extremely tender to the touch? Those bundles of fibers can cause pain elsewhere in head and neck – they may even be the cause of your headaches or other pain. The muscles in the face, head, and neck carry a lot of strain. Dr. Megan and the team are highly skilled at assessing and identifying the trigger points that can cause radiating pain up through the face. Botox can be used to break up those tense muscle fibers and alleviate the symptoms they may be causing. If you would like more information on how Botox can help improve your quality of life and reduce facial pain, grinding, and headaches – contact our office for a complimentary consult.